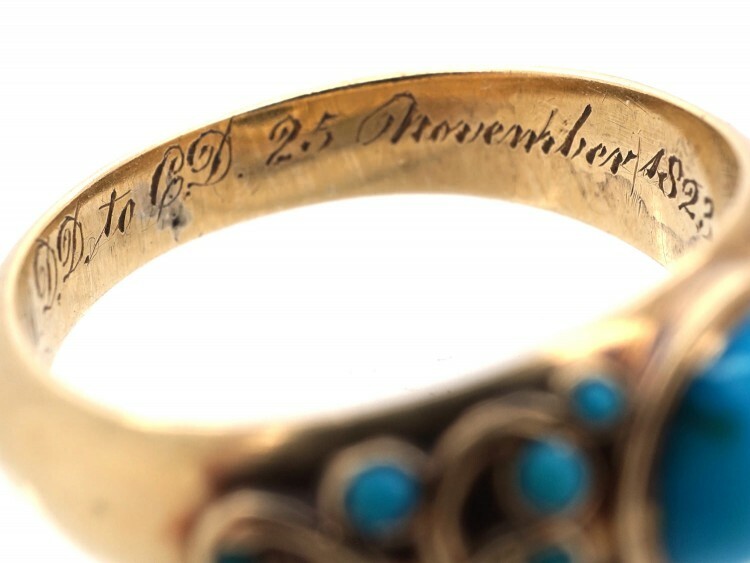 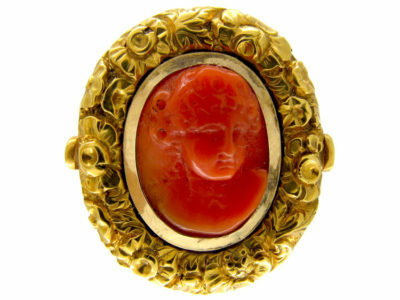 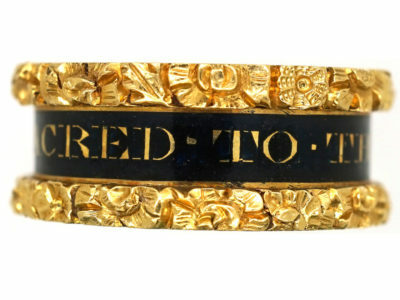 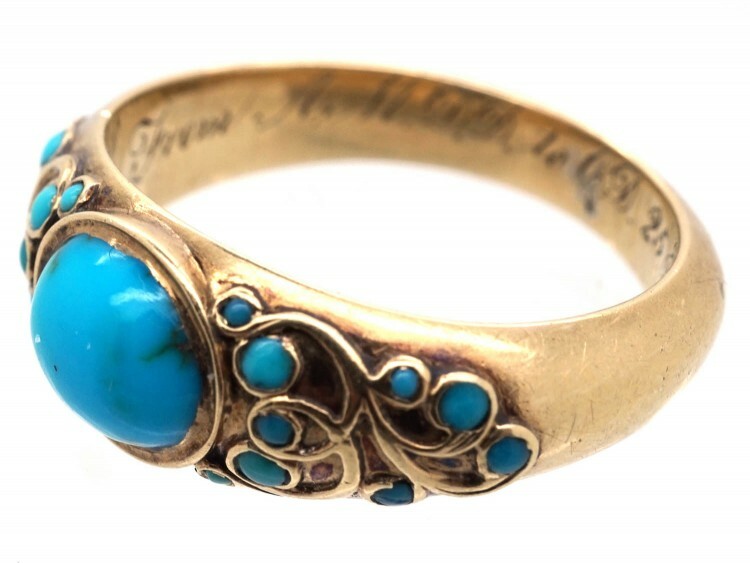 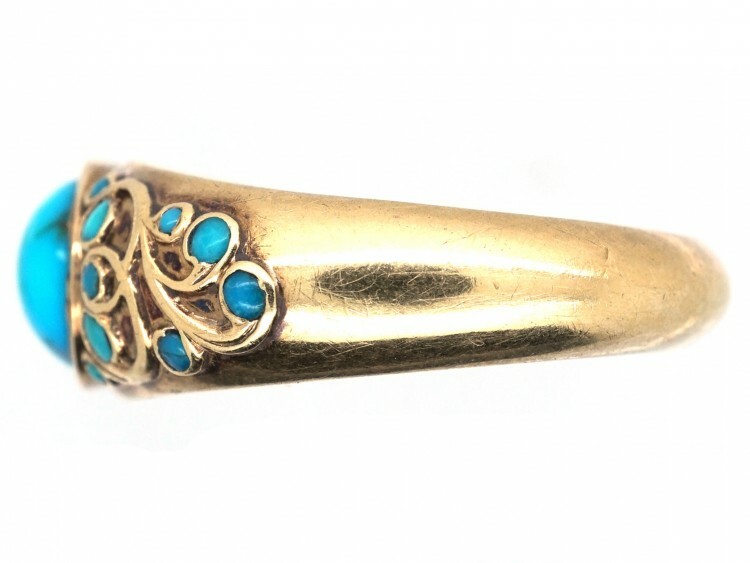 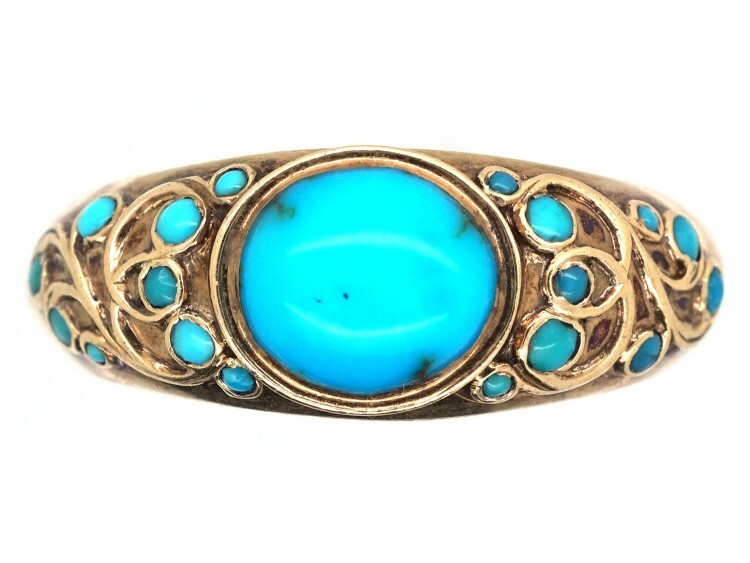 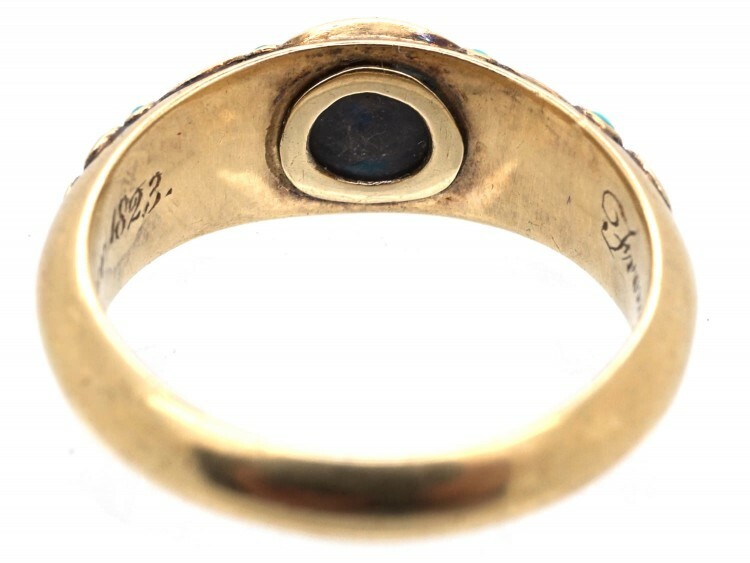 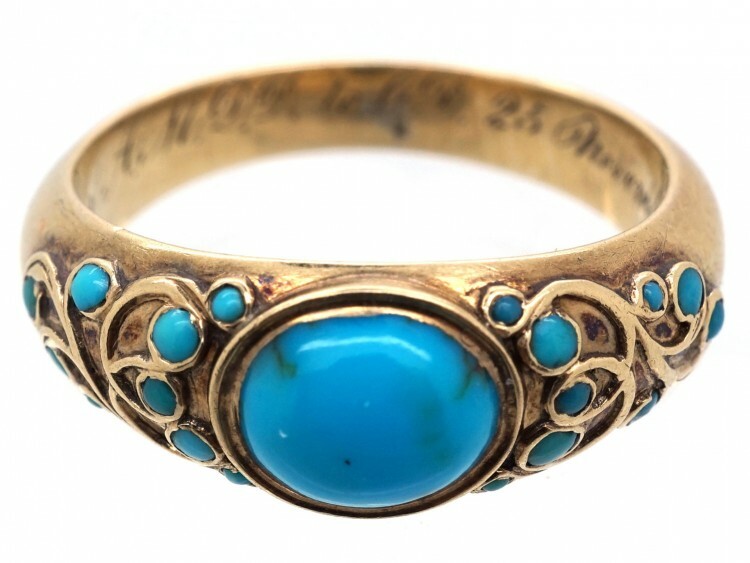 An unusual 18ct gold late Georgian ring made in 1823. 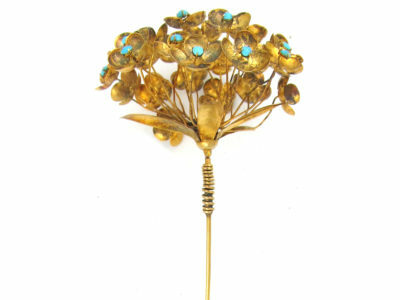 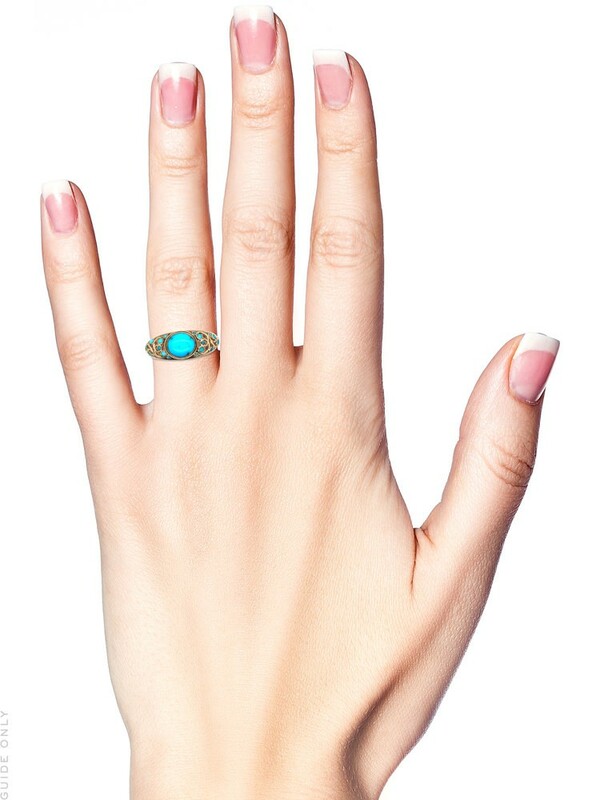 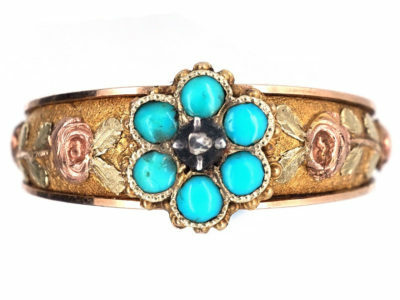 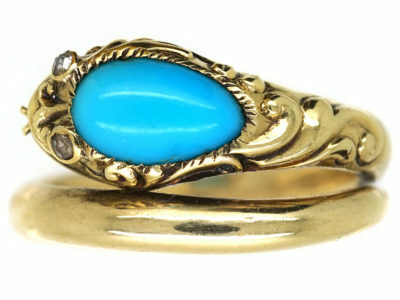 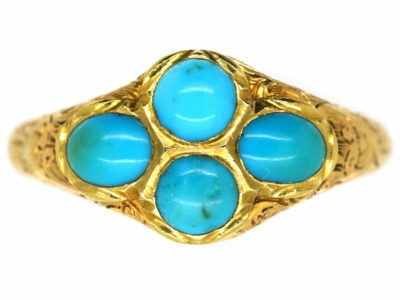 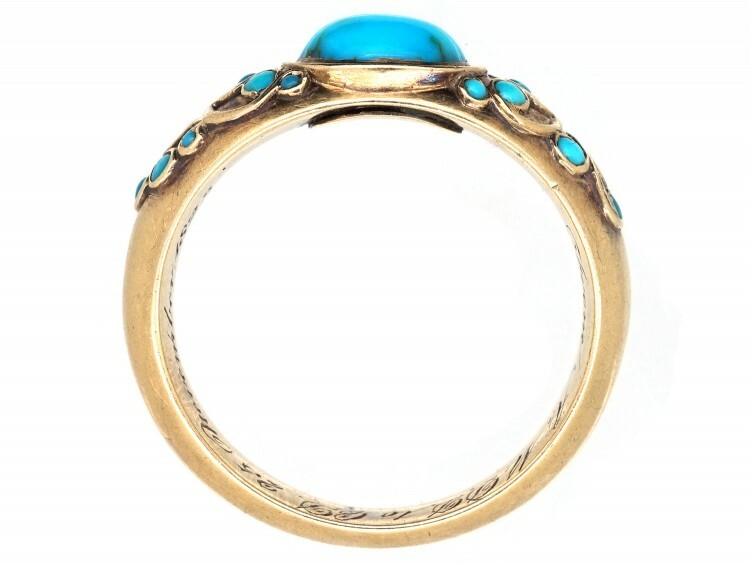 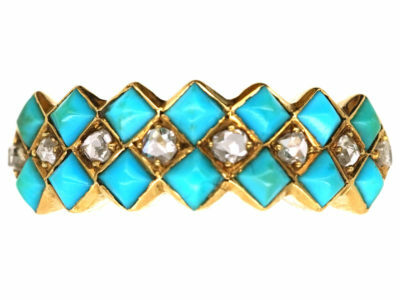 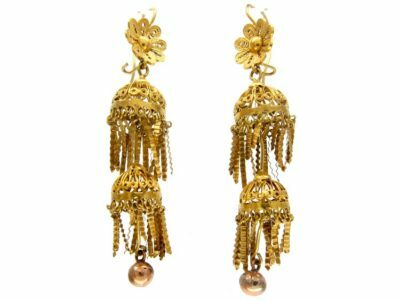 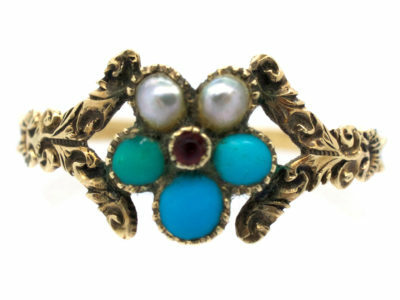 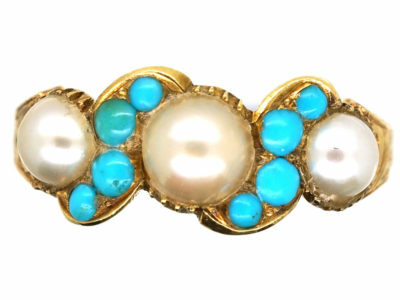 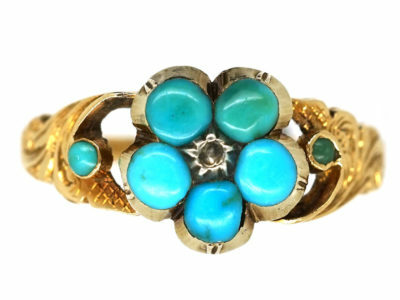 It is set with turquoise which literally mean “Forget me not” after the small turquoise flower that bears the same name. 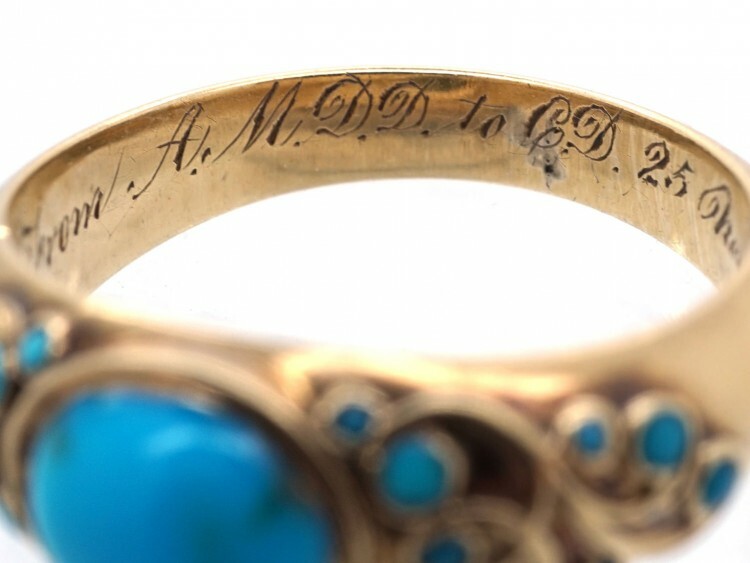 It is engraved inside the shank with the initials of one to another. 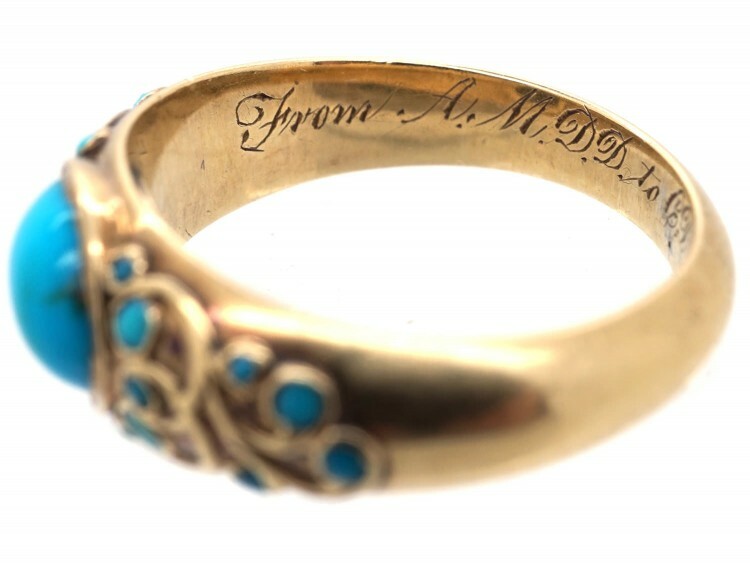 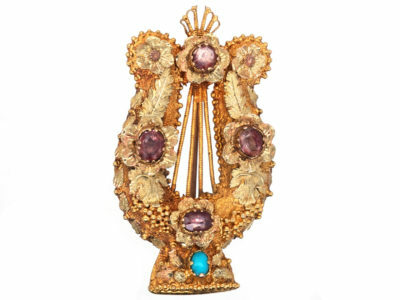 A token of love with a locket section under the top which may have contained a lock of hair. 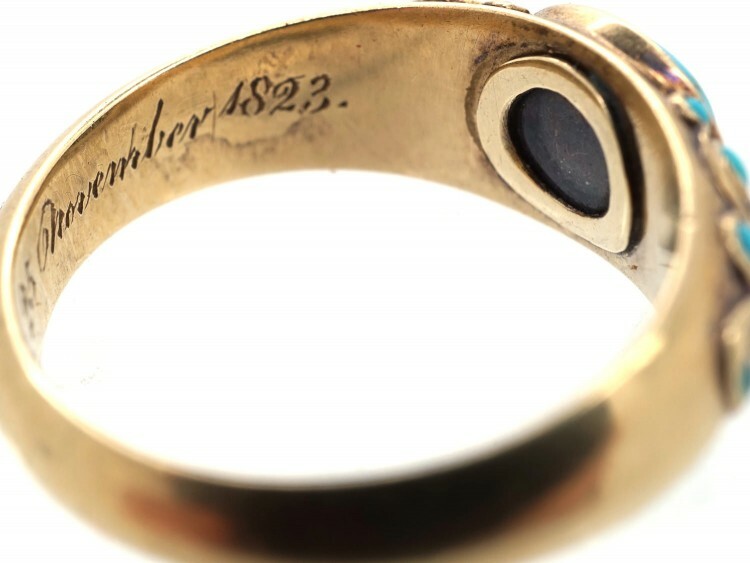 Engraved inside the shank "From A.M.D.D to C.D 25 November 1823"